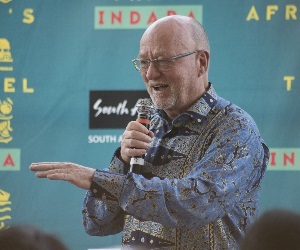 On behalf of the people of South Africa, and our country’s tourism sector, it is a great privilege to welcome you to Africa’s Travel INDABA 2017. It is a wonderful way to celebrate Africa Month, by hosting all of you as we showcase the beauty of our country and of the African continent. “We welcome you with open arms, to the vibrant city of Durban, to the spectacular scenery and warm beaches of KwaZulu-Natal, and to the cultural melting pot of South Africa. Earlier this month, we hosted Heads of State and Government and global captains of industry and commerce in this same venue, for the World Economic Forum on Africa, which was another wonderful marketing opportunity for the African continent. This week we bring Africa and the world together, in this home-grown trade show where Africa markets herself to the world. 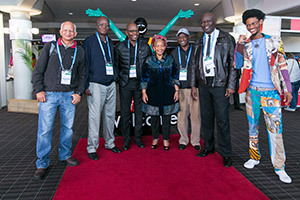 We are truly pleased to have our 21 sister African countries exhibiting at this year’s Travel INDABA. 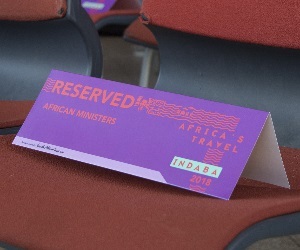 Let me extend a special welcome especially to those of you who are attending the INDABA for the first time. You will find that we are a colourful and robust nation of diverse cultures and traditions. We are called a world in one country with good reason. To those who have visited our country before, you will know that you can expect a warm and friendly welcome from the South African people. 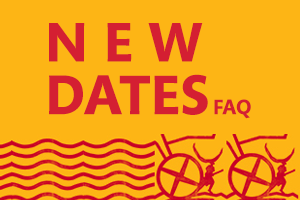 We welcome you at a time when tourism is riding the crest of the wave. 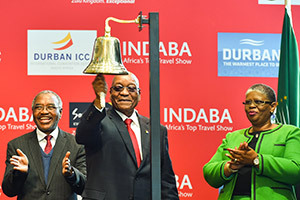 In South Africa, on the African continent, and throughout the world, tourism continues to perform strongly, and the forecast for the future is also positive. 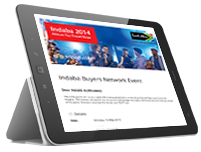 South Africa experienced a 13% increase in international visitors to South Africa last year. We are happy with this growth because tourism has a substantial potential of changing people’s lives for the better, especially during these depressed economic times globally. In addition to job creation, tourism also provides opportunities for entrepreneurship. Given the low barriers to entry, it makes it possible for new entrants particularly women and the youth to get into business. The global trends are also encouraging. 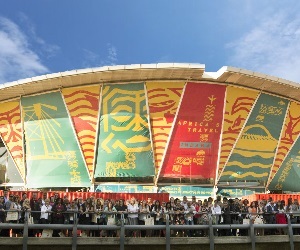 According to the United Nations World Tourism Organisation, tourism around the world recorded its seventh straight year of sustained growth since the global financial crisis last year. More than a billion people now travel around the world every year, and world international tourist arrivals grew by 4% on average. Africa enjoyed an eight percent increase in international tourist arrivals to reach 58 million arrivals. This means that Africa is growing at twice the rate of the global average. It is indeed most encouraging that more and more world travellers are discovering our continent. It means they see its value as an exceptional destination for holidays and business events. However, these arrivals to the continent represent only five percent of the one billion global tourists. This indicates the immense potential for further growth in the continent’s tourism sector. Working together as Africans with our global partners, we can open our beautiful continent to further growth in tourism. We are determined to move Africa forward in this business. Importantly, distinguished participants, in this era of the fourth industrial revolution which may threaten traditional jobs, tourism’s labour absorption capacity remains a greater weapon against unemployment. It therefore serves us well to look at tourism as a diversification opportunity for the continent’s economy because traditional sectors are experiencing challenges. Whilst we pursue the increase in global Africa inbound travel market share, we also encourage and promote travel within Africa. Africans must explore their continent as well. 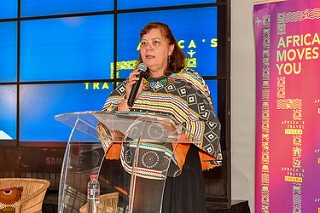 I am encouraged to hear that a young South African woman will be embarking on her second journey across the continent. She is here with us today. We wish Ms Katchie Nzama a memorable journey across our beloved continent. Ladies and gentlemen, In South Africa, we believe that tourism is everybody’s business. Growing the industry is also everybody’s business. To support this approach, we are pleased to announce our new national campaign called WE DO TOURISM. 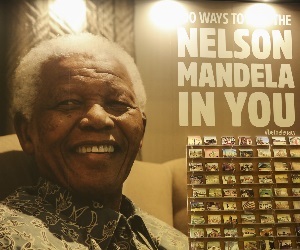 It challenges every South African to play his or her part and contribute to tourism. We DO TOURISM. That is our key message to our people. Indeed, tourism activities extend into every corner of our country, into cities and rural areas, into townships, into our mountains, our forests and our coastline. With this campaign, people will appreciate the immense value of tourism in their lives. The total contribution of tourism to our economy in 2015 was about three hundred and seventy five billion rand. Tourism now supports over 1.5 million jobs in total, and we want tourism to support over 2.2 million jobs by 2026. We are working hard to achieve further growth. Our aim is to make South Africa one of the top 20 tourism destinations in the world. In this regard, South Africa will be aggressively promoting our new 5 in 5 Tourism Growth Strategy. Simply put, we want to attract five million more international arrivals and domestic tourists within the next five years. To achieve these goals, we are strengthening existing markets, while also developing and investing into new international source markets such as the Middle East and Asia. Transformation will be another source of growth. 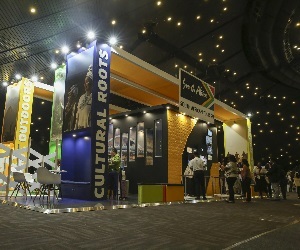 Black entrepreneurs will be targeted to be the leaders in growing these new markets in Asia and the Middle East, through various programmes to be run by SA Tourism, including participating in international trade shows and expos, as part of our country’s radical economic transformation programme. 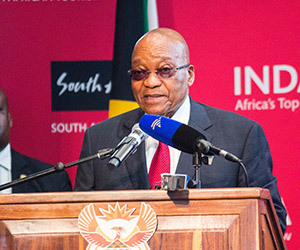 The radical economic transformation programme seeks to correct the painful history of our country where the black majority was excluded from meaningful participation, ownership and control of the economy. For the tourism industry, we are looking to achieve at least a 30% black ownership of the tourism industry currently. We have already begun to invest in transformation. 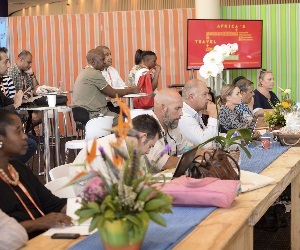 At this year’s INDABA, we have 90 black-owned tourism businesses from all nine provinces in South Africa, offering authentically South African tourism products, services and experiences. We will be developing local tourism offerings further in areas such as Township Tourism, Rural Tourism, Agri Tourism and homestays, which will offer tourists a diverse South African experience. South Africa is also looking to increase the contribution of Marine and Coastal Tourism as part of growing our Oceans Economy, also opening up opportunities for new entrants. This a long term project for South African tourism. We are starting a journey towards building more sustainable and profitable businesses and opportunities, and of expanding the new entrants into medium and large size enterprises. 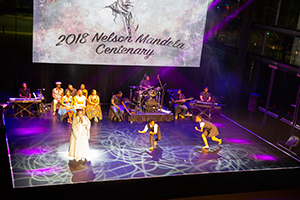 We thank the tourism industry for being part of this journey of changing South Africa for the better, correcting the legacy of the apartheid past. 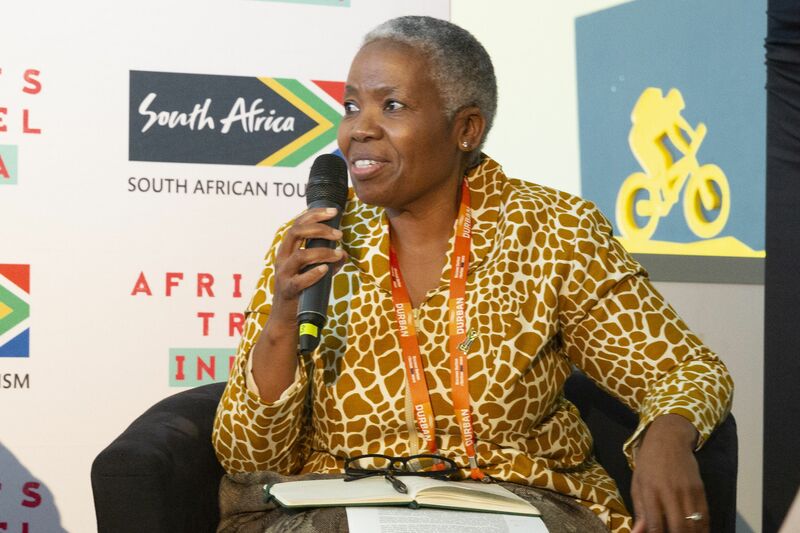 We are ready to work in partnership with our sister countries on the continent, and with our partners in the tourism industry, to make Africa a destination of choice for the world. 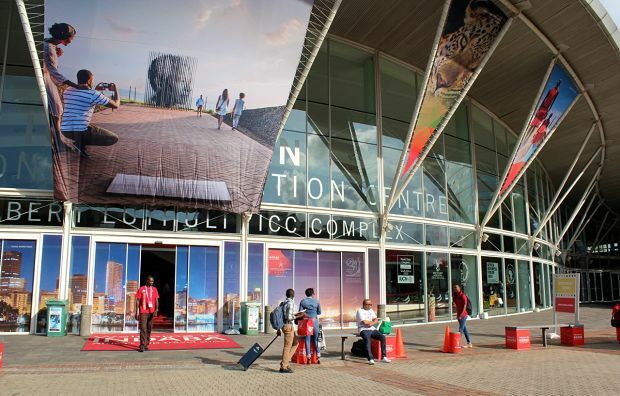 We will grow African tourism together and promote our beautiful continent, as we are doing this week at this INDABA. Already a lot is being done by regional economic blocs in the continent to promote regional integration which has positive spin offs for the economy including tourism. At the African Union level, Africa is investing in infrastructure development projects that will help us to promote economic development, including tourism development. One of the key goals is to work towards a seamless travel experience across the continent. I have the privilege of chairing the African Union’s Presidential Infrastructure Coordinating Initiative as part of the New Partnership for Africa’s Development (NEPAD). One of our key projects is to develop road and rail connectivity within the continent to make it easier to travel around Africa. 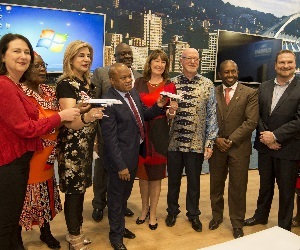 We also need more aviation connectivity so that ultimately, one does not need to fly to Europe first before reaching a North African destination from South Africa. Indeed, tourism is the new currency that ignites and unites our continent. We are looking forward to exciting times ahead for this industry in our continent. Africa has long been regarded as the world’s Eden. The time has come to bring the world home, to the cradle of humankind, Africa. We are extremely grateful for your continued support. 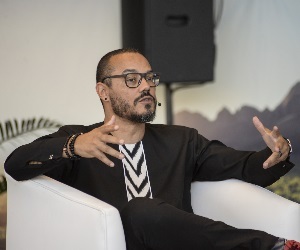 Your commitment to showcasing the best of what Africa has to offer makes Africa’s Travel INDABA the top trade show that buyers from around the world keep coming here for. It is my pleasure to declare the Africa’s Travel INDABA 2017 officially open!